HIGH TORQUE CLOCK MOVEMENTS are Compact Yet VERY Powerful. They are able to drive EXTRA LONG HANDS for LARGE CLOCK DIALS Up To 24" In Diameter. HANDS are included. MOUNTS TO YOUR OVERSIZE DIAL using the Center Shaft. Needs a 5/8" round shaft hole. 7/16" Long SHAFT Requires 11/32" Dia. Hole. Fits Dials Up To 5/16" Thick. 11/16" Long SHAFT Requires 11/32" Dia. Hole. Fits Dials Up To 9/16" Thick. 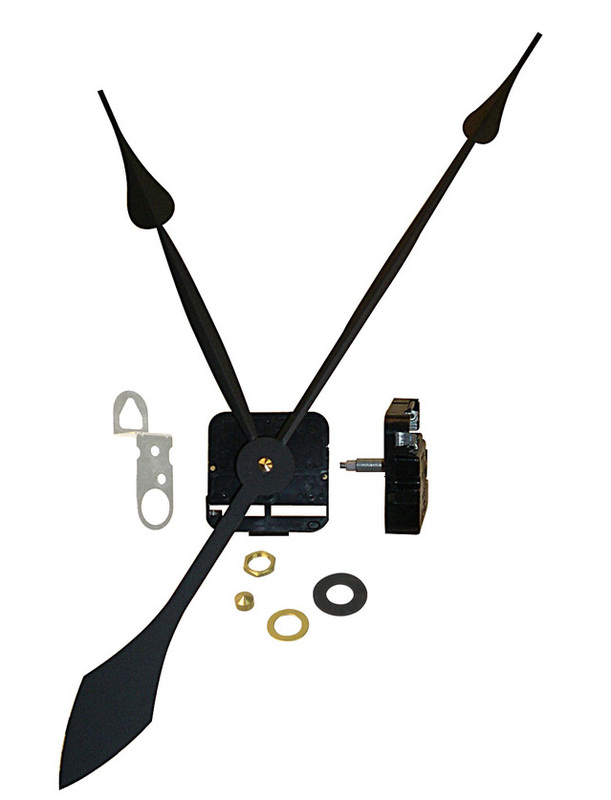 Quartz Clock Mechanism Is Accurate To +/- 3 Min. A Year. Uses 1 AA-Size Alkaline Battery (NOT Included). NOTE: Hands are measured from mounting shaft to tip of hands. 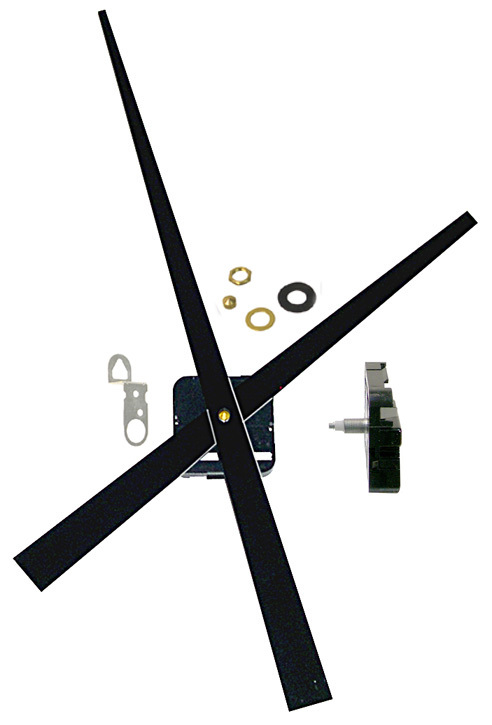 Clock movement measures 2-1/8" x 2-1/8" x 5/8"D.
Movements are Warranted 12 Months from Date of Purchase. 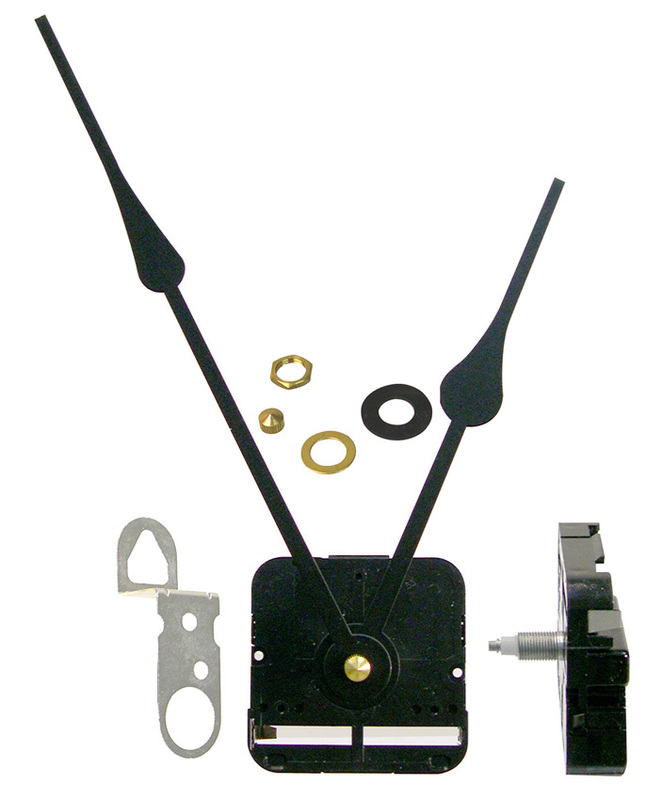 A) Clock Includes Style 1 CLASSIC Black Metal Hands (7"L Minute and 5-1/8" Hour). Hands can be trimmed with scissors if necessary. 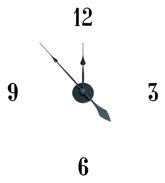 B) Clock Includes Style 2 CLASSIC Satin Black Metal Hands (12"L Minute and 9" Hour). Hands can be trimmed with scissors if necessary. C) Clock Includes MODERN Style Satin Black Metal Hands (7-3/8"L Minute and 7" Hour). Hands can be trimmed with scissors if necessary. High Torque Clock Movements WITHOUT HANDS are also available. Click on Link at bottom of page to view and buy. 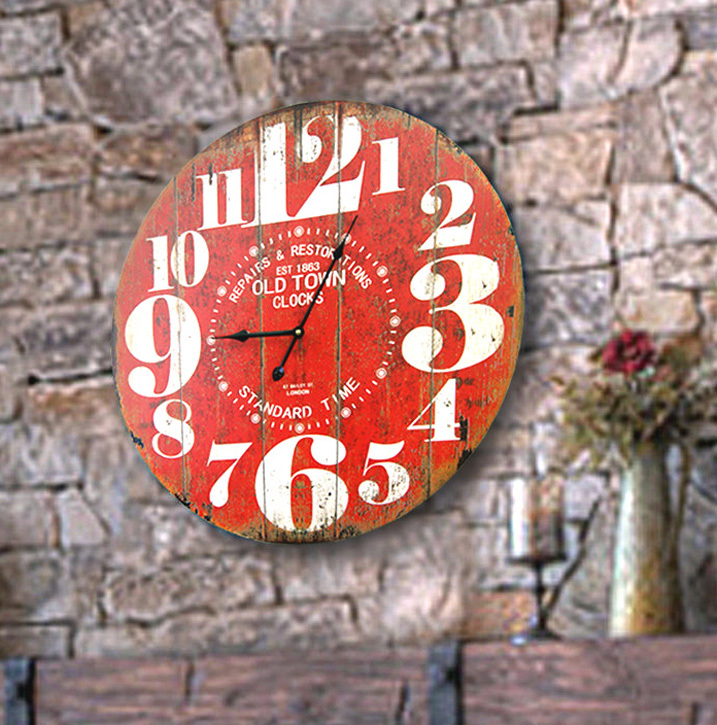 Ideal Clock Movements for oversize clock projects with dials up to 24" round. D) BLACK PLASTIC NUMERALS with glossy finish measure 3" high. NON-ADHESIVE BACKS Set of #12, 3, 6 & 9. 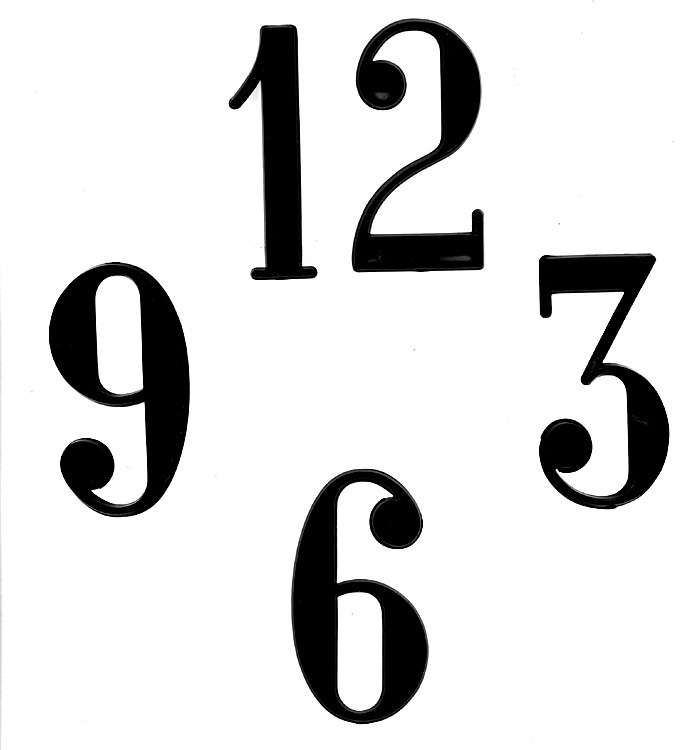 Example of CLOCK NUMERALS mounted directly to a wall. E) HIGH TORQUE SMART CLOCK Automatically Adjusts To Seasonal Time Changes (continental U.S. only). Includes Style 1 Classic Black Metal Hands. (7"L Minute & 5-1/8"L Hour. )Hands can be trimmed with scissors if necessary. (D) Black Plastic Numerals, 3"H NON-ADHESIVE. as well as High Torque Movements with Wall Mounting Case. Click on Links below to view and buy.